Order your Chauvet DJ EVE E100Z Stage Light from AMS and enjoy 0% Interest Payment Plans, Free Shipping, Free Extended Warranty & 45 Day Money Back Guarantee. 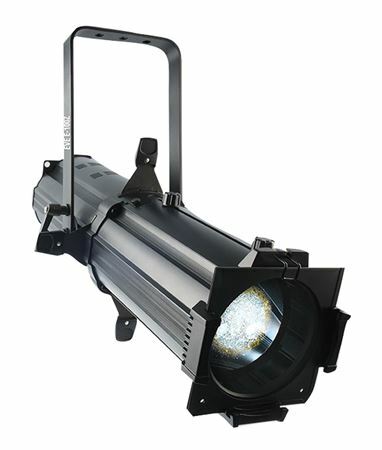 The Chauvet EVE E-100Z is a powerful spot fixture featuring sharp pattern projection with a 100 W warm white LED light source. This versatile fixture works with metal or glass gobos to create incredible gobo or pattern details. The manual zoom and framing shutters make it simple to control beams. This is definitely one of the best monogram projectors we’ve worked with (we own other Chauvet fixtures, Martin Mania PR1, and various leekos)... great throw and light intensity; and outstanding zoom range.